Roasted pears with blue cheese and cranberries from Angel Loves Cooking is a seasonal side dish. 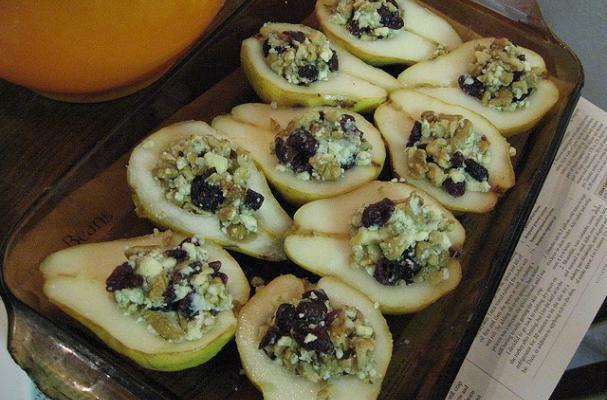 Sweet fall pears halves are tossed in lemon juice and stuffed with a mixture of cranberries, blue cheese, honey and walnut before being baked in the oven. You can pair these roasted pears on a bed or spinach or arugula for a simple salad. This would also be a unique way to present a cheese course at a dinner party.